This treasure comes from the creator of the late night drama Light's Out, Wyllis Cooper. Cooper is credited by writer Arch Oboler as creating radio drama (as distinguished from stage drama.) Cooper's career was varied in the years before he turned to writing. Soon out of high school he joined the US Calvary, spending time on the Mexican border in 1917. He joined the Signal Corp and was gassed during WWI. Through the 1920's he wrote advertising copy before entering radio, writing scripts for the NBC program, The Empire Builders. In 1933 he created the series Lights Out. Originally written and directed by Cooper,Light's Outaired at midnight "to catch listener's attention at the witching hour." The show specialized in grisly horror, blood curdling acting, and menacing sound effects, although it was tamed down when the show went national. Cooper capitalized on his success, and left the show in 1936 (Oboler was his replacement.) 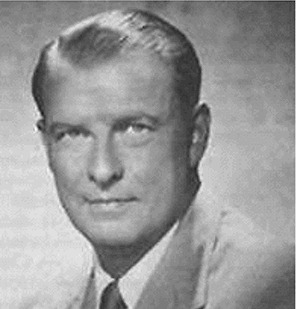 Cooper moved to Hollywood and wrote screenplays for various studios, including the 1939 Son of Frankenstein, in which he introduced the character Ygor. In 1940 he moved to New York and wrote for The Campbell Playhouse, the sponsored continuation of Orson Welles Mercury Theatre on the Air. During WWII he produced and directed the weekly news and propaganda show The Army Hour for the Secretary of War. In 1947 he created what is considered his finest work, Quiet, Please. Quiet, Please,repeated twice, followed by a lonely, funereal organ playing. Most of the story is told as a narrative, with little dialog. The featured actor, Ernest Chappell, is credited as "the man who spoke to you." Chappell did not play an action character; rather he would tell the listener a story, usually in the form of a flashback. He would be a retired oil man telling a story to the listener from his living room, or an old railroad worker whom the listener meets in the station. Always the listener is engaged because the story is being told directly to him, as though he were in the same room. Slowly, quietly, the listener is drawn into a world very similar to our own, but it is a world where an unseen, unknown terror is lurking very nearby. Chappell would usually portray a specialist of some type, an oil platform worker, a mountain climber, a soldier, a telegraph operator, and Cooper would pepper the stories with details of the job, further drawing the listener into the world they create. Ernest Chappell had worked in radio for a number of years, but always as a newsman or announcer. This suited Cooper's project perfectly (acting was a "pet hate" of Cooper's). The stories are genius in their simplicity, mostly narrative with only two or three actors besides Chappell filling small parts, and very little sound effects and other production techniques besides the afore mentioned organ. The show was also noted for its long, dramatic pauses. One reviewer said they were often long enough that you thought your radio had gone dead, that a "half hour Cooper script played at ordinary tempo would run about 11 minutes." The same reviewer would praise the show. Quiet, Please is usually listed as a horror and suspense program, but the topics would also range through romance, science fiction, crime and family drama, even humor, albeit dark and self deprecating. The call for Quiet, Please asks the listener to put away distractions so that another world can be entered, and then (hopefully) safely left behind. "And so, until next week at this same time, I am quietly yours, Ernest Chappell."